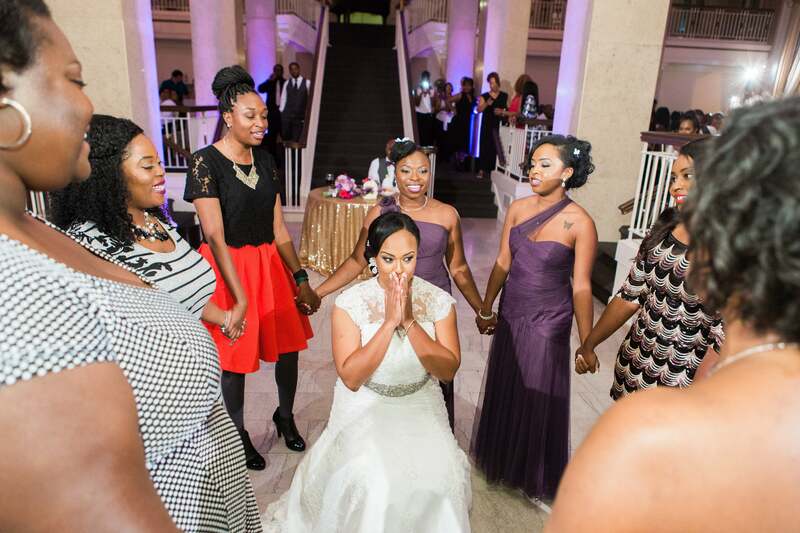 The groom swept the bride right off her feet from day one. 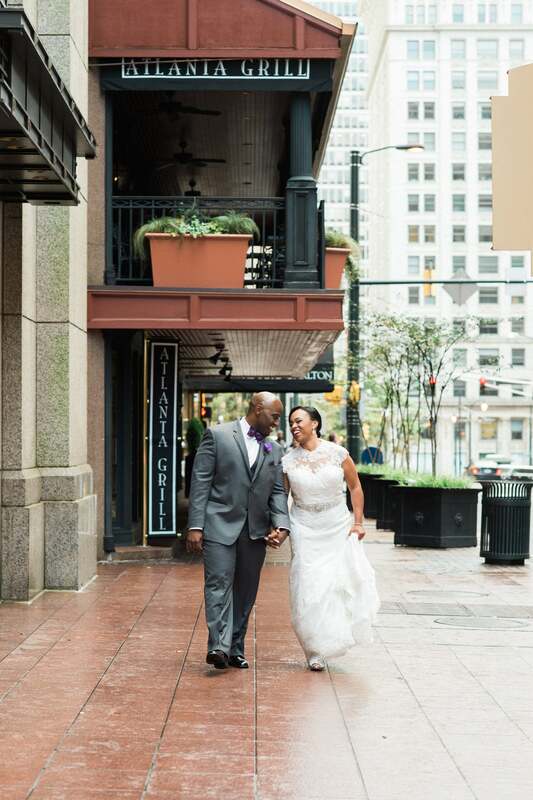 See their romantic wedding day in the A! 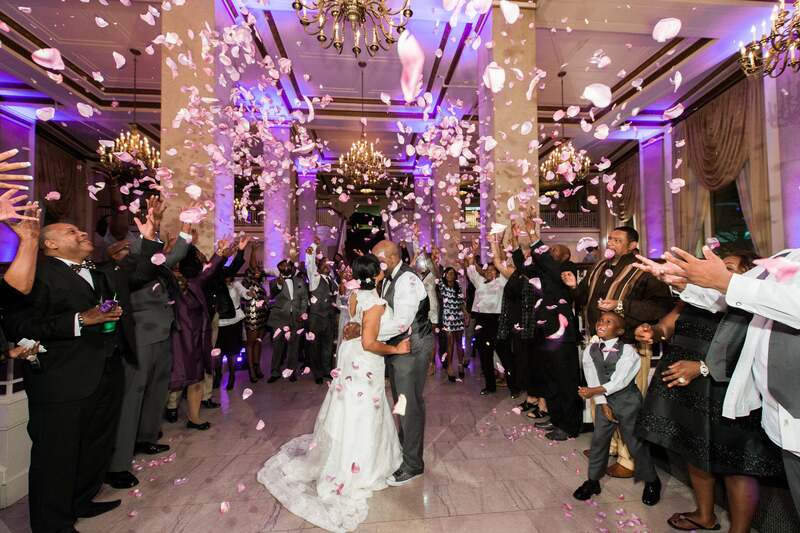 "Throughout our relationship I just knew that she was the one for me and I wanted to do everything I could to make this relationship work," said the groom of his bride. 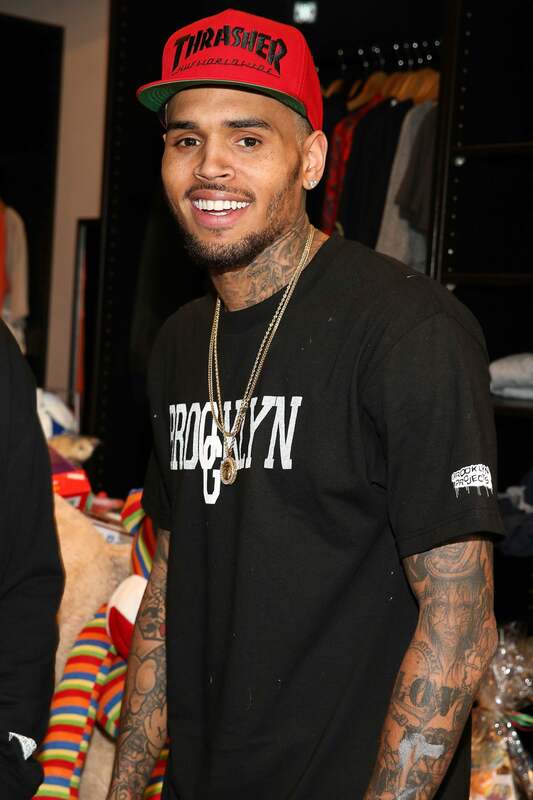 "I was at a point in my life where I was ready to settle down and take this relationship to the next level. I think I always knew I wanted to marry Adrienne, but I always said after a year I would propose." 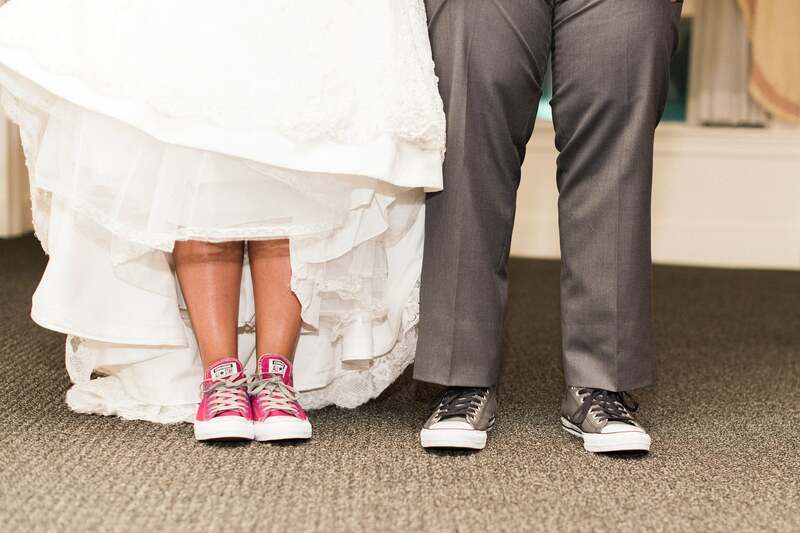 How cute, the bride and groom rocked matching sneakers on their wedding day! What a great touch. 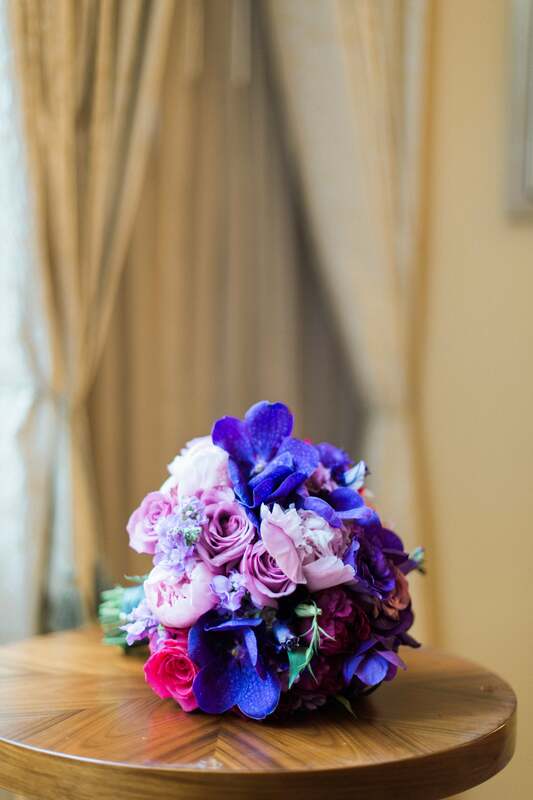 We are absolutely here for the gorgeous flowers Adrienne carried down the aisle with her! 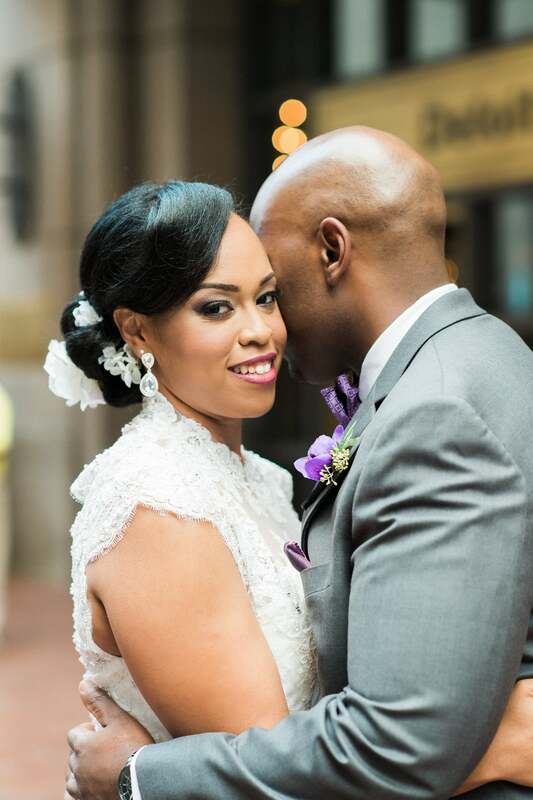 "It felt good to be a bride," said Adrienne. 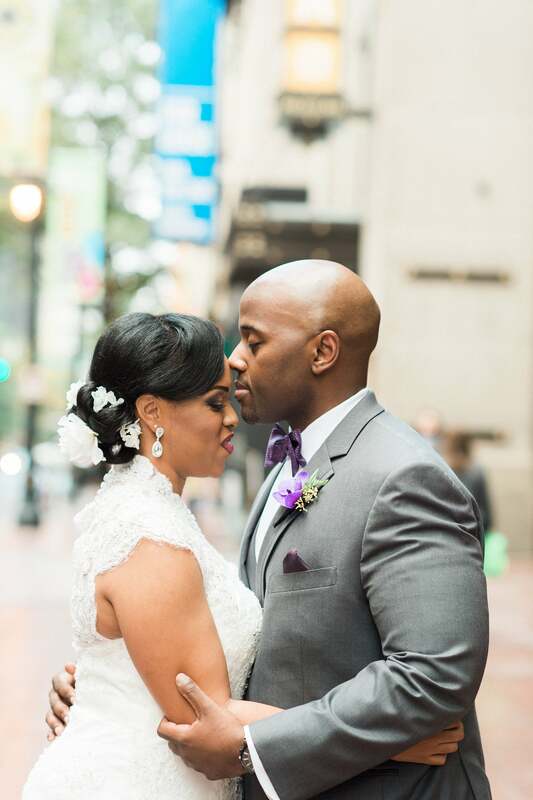 "My day was stress free…thanks to my wedding planner. Everything felt right and I even felt my grandmother’s presence that day." 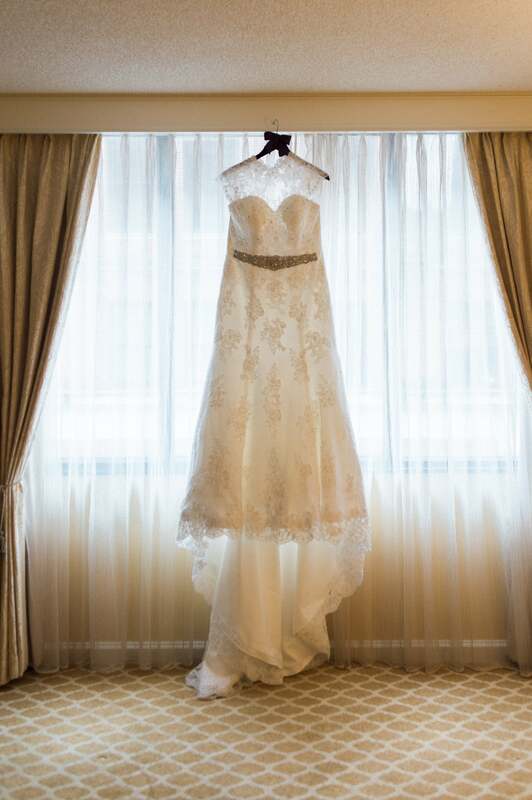 "It was not hard finding my dress; I knew I wanted lace and not a strapless wedding gown," admitted the bride. "As soon, I put the dress on it just felt good. 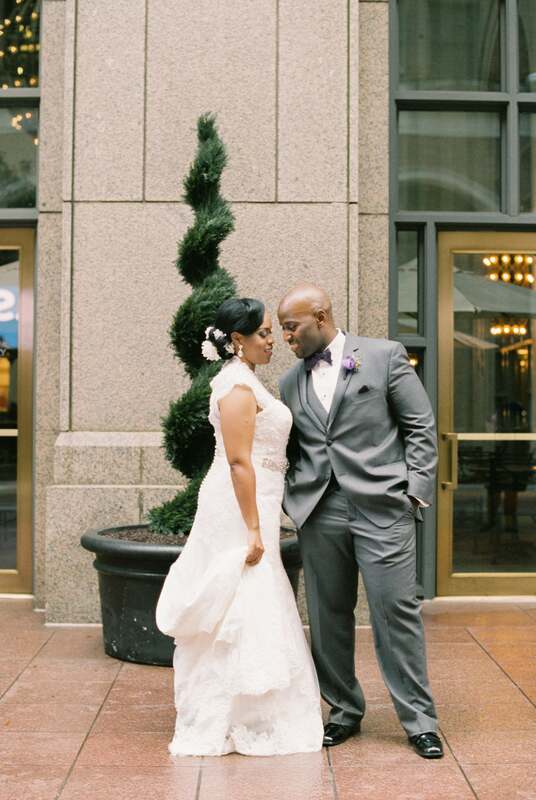 I literally got chills once I put the dress on and I instantly knew it was the one." 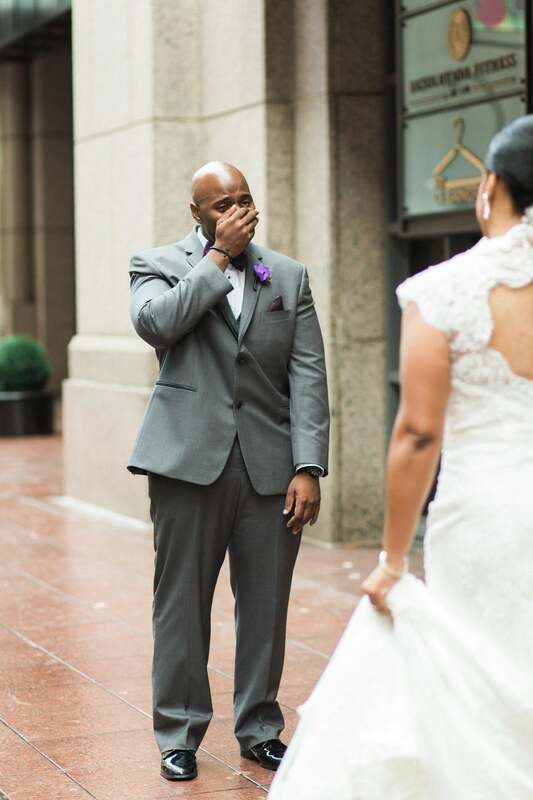 The groom was captivated by the beauty and love of his bride that he couldn't help but share a tear on their wedding day. "It felt amazing," he said of looking at her. Aww! 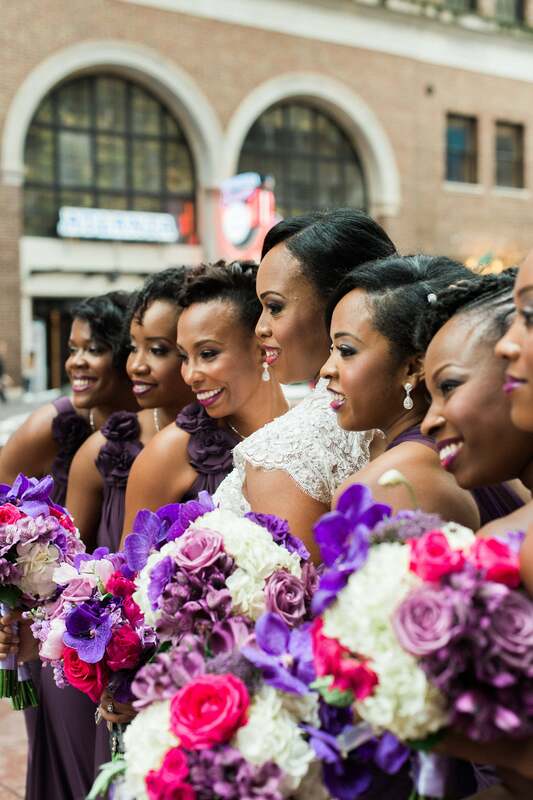 The bride and her bridal party are absolutely gorgeous! 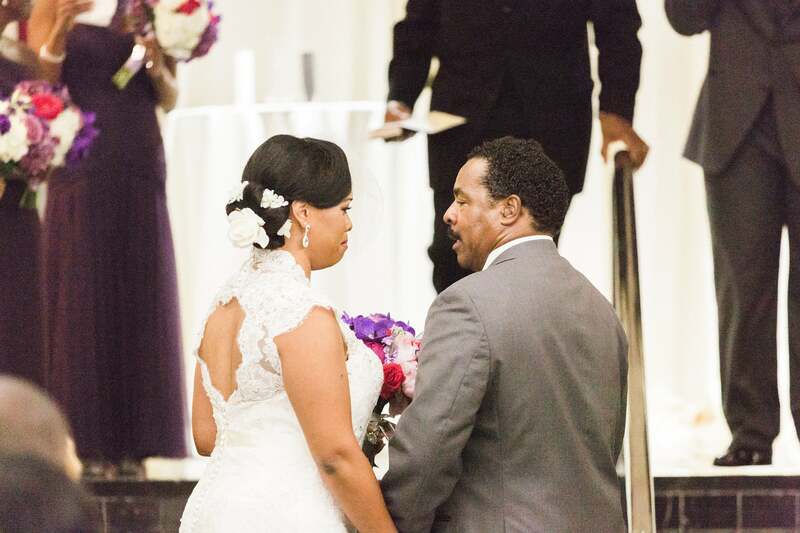 "It was a surreal moment for me," said Adrienne of looking at Jeff on their big day. 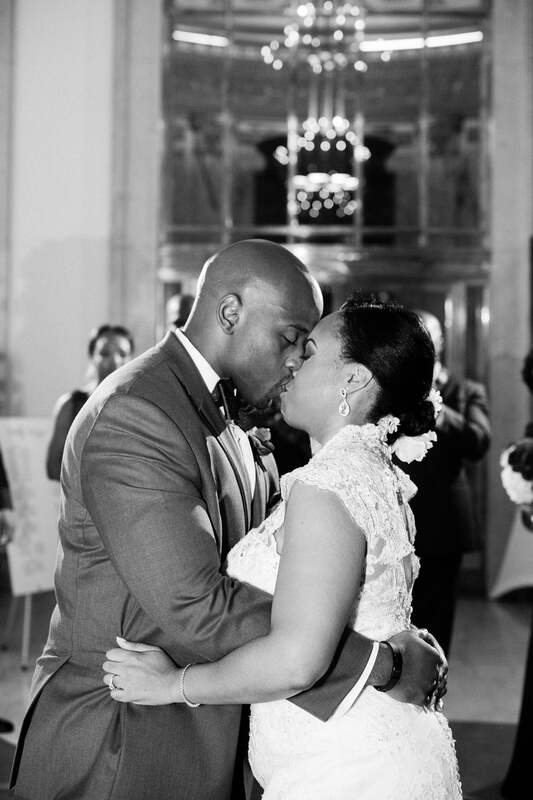 "I could not believe that I was getting married because for so long I thought it would never happen." 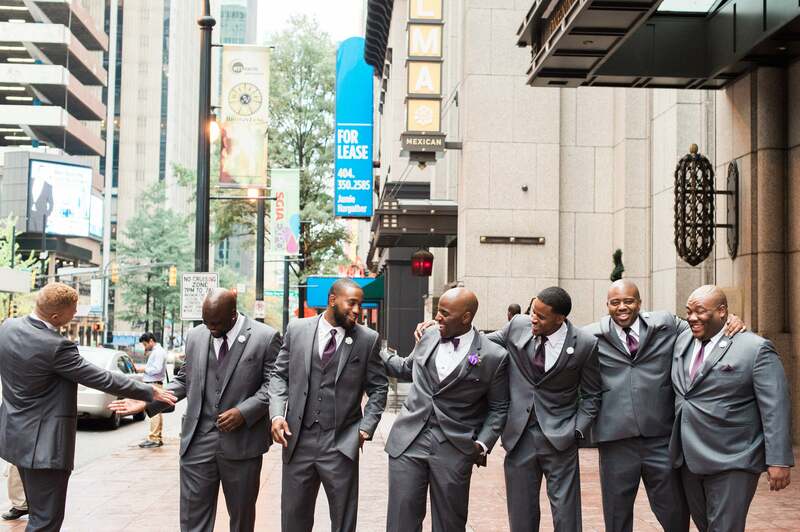 Jeff and his groomsmen had a grand time on his big day and we love it! "Jeff is a very giving and loving man," said Adrienne. "He goes over and beyond to make sure I am okay and happy. He is the most driven man I know outside of my father and that helps me to stay driven. He is very respectful and he treats me like no other man has ever treated me." 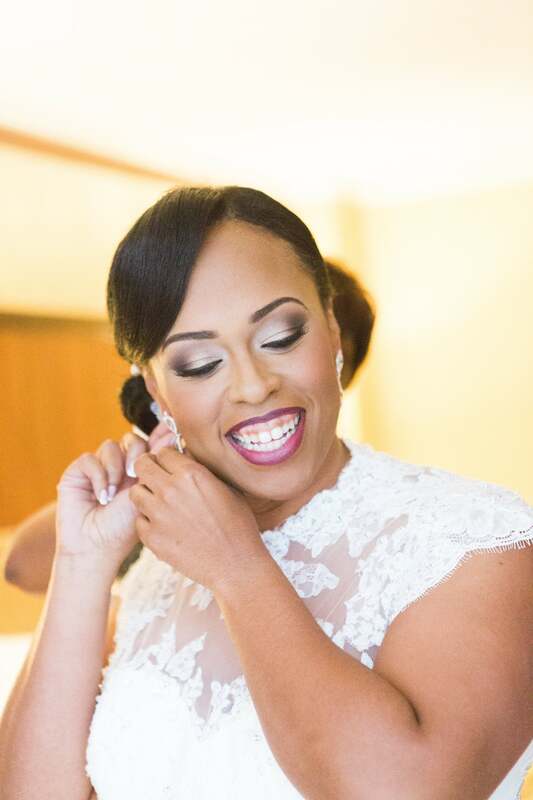 "Adrienne is a God fearing, motivated, intelligent, beautiful, and family oriented woman," said Jeff to describe his bride. "She is everything I dreamed of in a woman." "Outside of his smile, I love his calm and laid back spirit. I can be a little feisty at times and he always is there to give me a peace and calm when I need it." 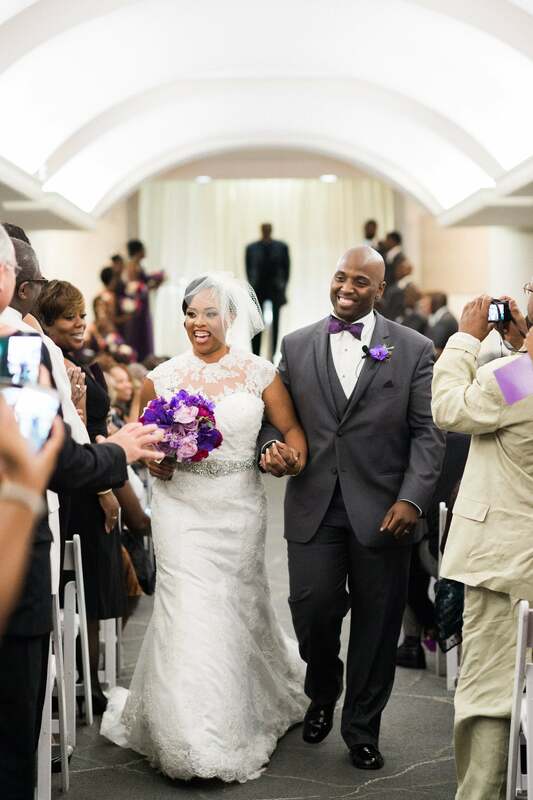 "During the wedding, I cried once my dad walked me down the aisle before giving me away," shared the bride. What a precious moment. 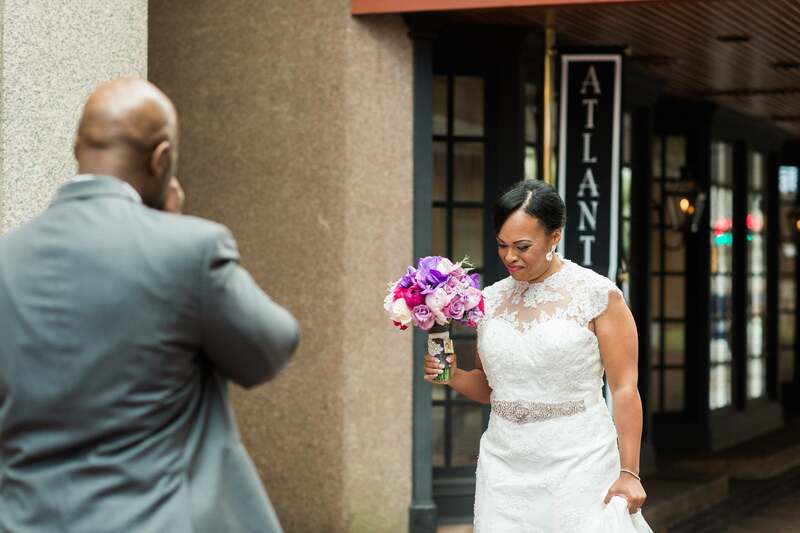 "I did not initially think true love existed because I have been hurt a lot and I almost sabotaged our relationship in the beginning because I thought what I had found was too good to be true," said Adrienne. 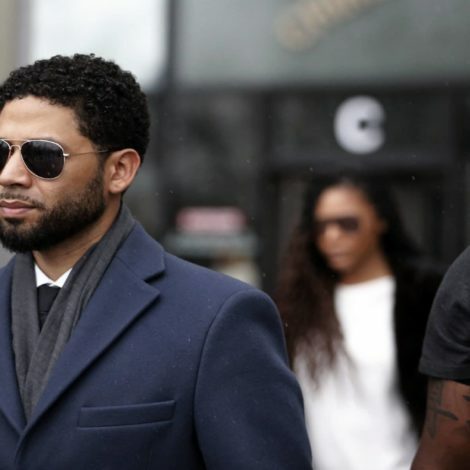 "Jeff reassured me that he was not like any other men I had dealt with and that’s why I married him." "I love that she challenges me and keeps me going," said Jeff. "She never settles and always helps me put forth my best." 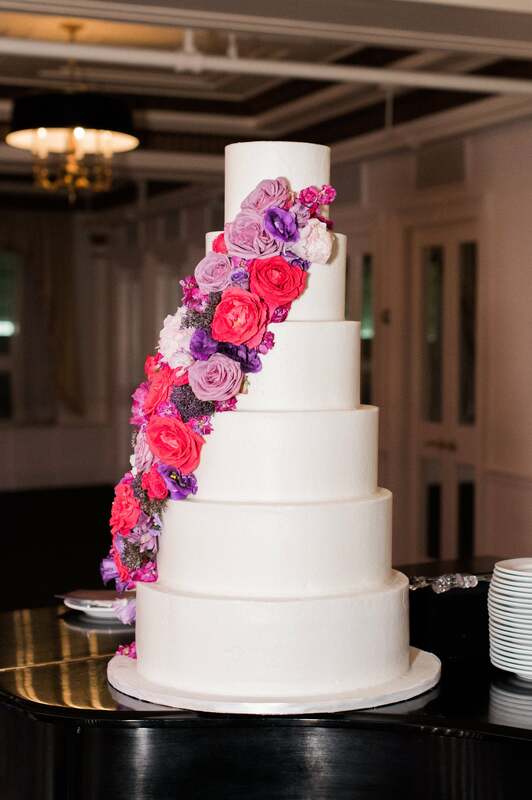 Adrienne and Jeff served their 160 guests five layers worth of cake perfection on their big day! 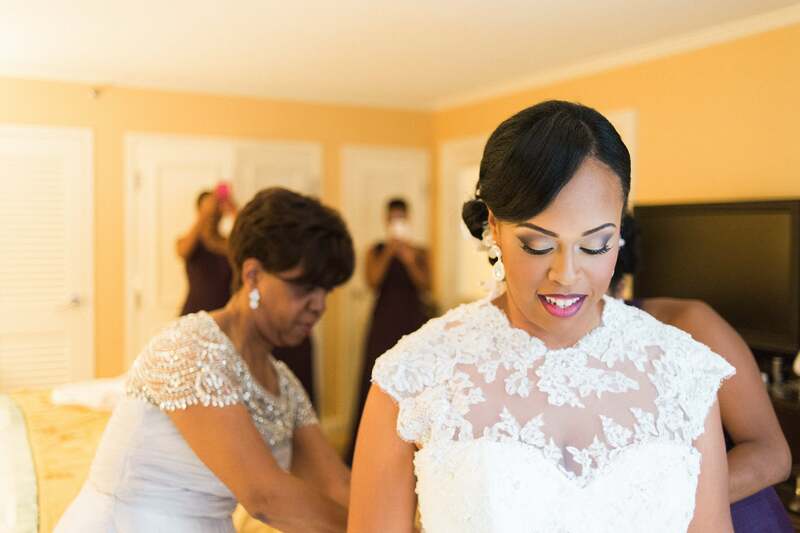 One of the bride's favorite wedding day memories came when she and her sorority sisters shared a special moment. "When my sorority sisters serenaded me with the Sweetheart song and then we strolled. It was great seeing some of my sorority sisters!" 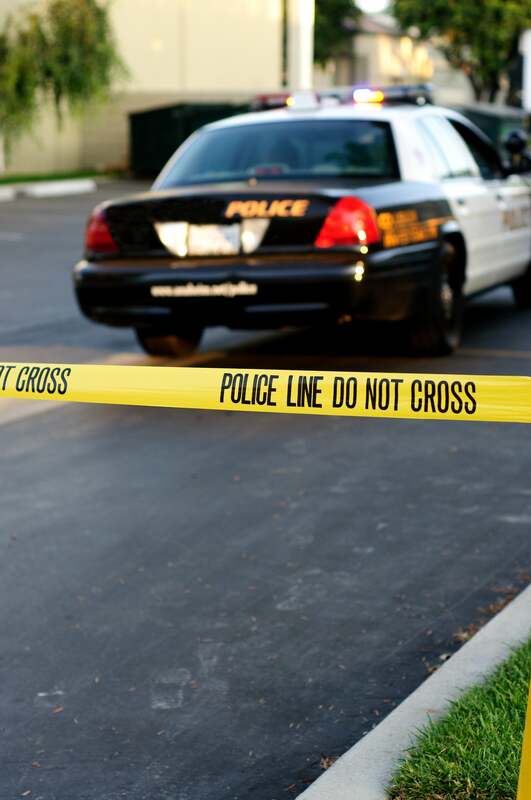 "I knew she was the one from the first date at Kiku Japanese Restaurant," admitted Jeff. 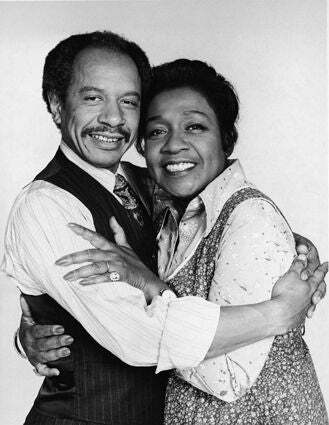 "She was everything that I wanted in a woman and we connected on so many levels. I could see her being my future wife." 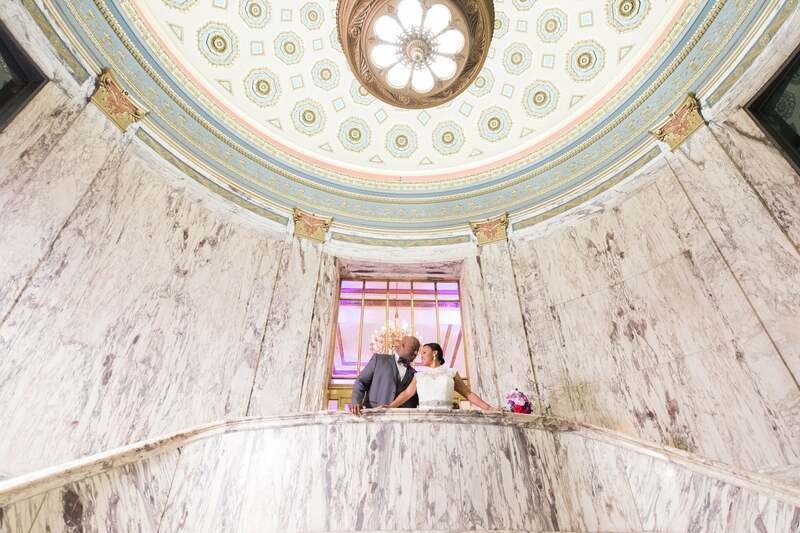 Now this is how you seal it with a kiss, congrats to Jeff and Adrienne!